SaskTel Archives · Stop the Cap! Truth or Consequences: Does privatizing a government-owned telephone company encourage innovation and efficiency or serve to enrich a handful of executives and shareholders at the cost of customer service? Two essentially equal telephone companies serving the Canadian prairie provinces offer some useful insights. The provinces of Manitoba and Saskatchewan are remarkably similar in their landscape and their sparse populations — 1.29 million in Manitoba and 1.13 million in Saskatchewan. Today, most are concentrated in or near a few large cities with many small agricultural towns scattered across great distances. At the dawn of the 1900s, the “Sunny way” of Prime Minister Sir Henri Charles Wilfrid Laurier and his Liberal party was to push open the western frontiers and lay new railways across Canada. Part of the zeal for expansion came from a sense of growth and optimism, but there were also pervasive fears that without significant settlements in central Canada, the Americans could end up annexing huge swaths of empty Canadian agricultural lands for its own interests. To prevent this and enhance its own national identity, Canada threw its doors open to immigration, especially to hard-working Americans from the midwest who were inundated with government-sponsored advertisements about a new life and opportunities that waited in the Canadian prairies. The campaign worked. Between 1901 and 1906, the population of Saskatchewan surged from 91,279 to 257,763, 86.8% settled in rural farming areas. By 1911, the population almost doubled again to 492,432 with over 80% located away from the cities of Regina and Saskatoon. Next door in Manitoba, many new residents preferred areas south of Winnipeg, closer to the American border. Serving this population boom depended heavily on Canadian railroads, which delivered settlers and laborers, medicine, farming equipment, and the latest news from Ottawa. The trains returned east with part of the harvest and various meats. It was no surprise Canada’s telecommunications infrastructure (along with more than a few new towns) would grow up along its railway lines. 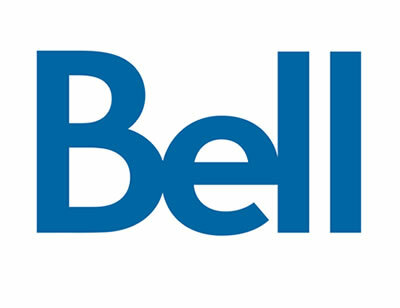 With Bell Canada preoccupied with its larger client base in Ontario and Quebec, both the governments of Manitoba and Saskatchewan established provincial, publicly owned, phone companies to take control of their telecommunications future. In 1908, the Manitoba Telephone System (MTS) was born, made up mostly of former Bell customers. In 1909, SaskTel was established as a publicly owned operation as well, again comprising former Bell customers in the province. 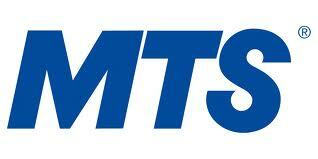 Both MTS and SaskTel quickly bought out all the remaining private telephone companies still operating in their midst. The Winnipeg Free Press notes both MTS and SaskTel successfully served their respective customers for nearly 90 years. 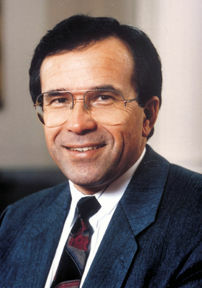 In 1997, Manitoba’s Progressive Conservative premier Gary Filmon broke his pledge to keep hands off MTS and privatized the company, claiming it would be more innovative in private hands. That move would not be repeated in Saskatchewan, where every political party in office usually treated SaskTel as sacrosanct to the province’s economic development. Even the conservative Saskatchewan Party, which held power in the province from 1982-1991, never got around to privatizing the phone company, and a pledge to privatize crown corporations in the near future was just one of several issues that led to the party’s downfall in the election of 1991. For the last 18 years, Canadians have been able to see which province made the wisest choice. The newspaper concluded after nearly two decades, there is strong evidence MTS’ main priorities are to satisfy shareholders and commercial business customers, while rewarding their executives with handsome pay packages. “Meanwhile, SaskTel appears to focus on customer service and satisfaction, being a good employer and on providing returns to their public shareholder: the people of Saskatchewan,” the Winnipeg Free Press concluded. Evidence of SaskTel’s service ethic could be found last week when SaskTel was acknowledged as western Canada’s most dependable wireless carrier, according to a new study by market researcher J.D. Power. “SaskTel ranks highest in overall network quality and performs particularly well in call quality, messaging quality and data quality,” J.D. Power said in its report. SaskTel was among the first commercial users of fiber-optics in the world, today offering customers competitive cable television, broadband, and phone service. MTS has not turned out to be the innovator it was promised to be as a private company. While SaskTel was becoming a world leader in converged fiber optic networks, supplying voice, data and video across a strand of fiber, MTS was raising rates on landline customers. Today, a basic landline in Saskatchewan costs around $8 a month — 27% less than the cheapest MTS home phone service. Everything at MTS usually costs more, which has turned out very well for shareholders and executives. While MTS earns roughly double the profit of SaskTel, almost all goes to major shareholders and top executives. SaskTel has returned $497 million over the last five years to the provincial government as well as customers through an annual dividend payment. Over in Manitoba, MTS has proved to be innovative in avoiding its tax bill — only paying corporate taxes once in 10 years — and that was just $1.2 million in 2010. Creative accounting at MTS has allowed the profitable company to pay “a big fat zero in federal and provincial corporate income taxes,” according to the newspaper, and MTS does not expect to owe a penny in income taxes until 2020 at the earliest. So where do MTS profits go? Last year, MTS former CEO Pierre Blouin received $7.8 million in compensation, well above his five-year average of $4.8 million. Blouin’s salary was more than 10 times higher than what SaskTel’s CEO receives annually. The newspaper adds MTS directors are paid more than 10 times what SaskTel’s directors are paid. But even more disturbing, the man who made the Money Party possible for MTS — former premier Gary Filmon — had a cozy, well-compensated home waiting for him on the MTS board after he lost his re-election bid. He has used his time at MTS to feather his own nest with more than $1.4 million in director fees and compensation over 10 years, along with hundreds of thousands of dollars worth of shares. Telus, Bell and Rogers charge customers as much as 45 percent less on wireless service where they face a fourth regional competitor in a case of suspected predatory pricing that could threaten the viability of competition in Canada’s wireless marketplace. SaskTel, a crown corporation, is one of several Canadian regional wireless providers. The Saskatchewan Telecommunications Holding Corporation, based in Regina, said SaskTel’s revenue and net income dipped to $1.205 billion and $90.1 million, respectively. SaskTel (which has net income of $106.2 million in 2012) projects this will be only $59.2 million next year. The dramatic drop in revenue, in part, comes from suspiciously low wireless rates in areas where SaskTel and other regional providers operate. Sudden rate cuts were introduced last summer and are available only to customers where regional firms offer wireless service. Vidéotron in Quebec, EastLink in the Maritimes, MTS in Manitoba, and SaskTel in Saskatchewan are all impacted. But the savings don’t extend outside of these competitive areas, leading to whispered accusations that the Big Three are engaged in predatory pricing behavior, designed to undercut competitors while maintaining high rates for everyone else. 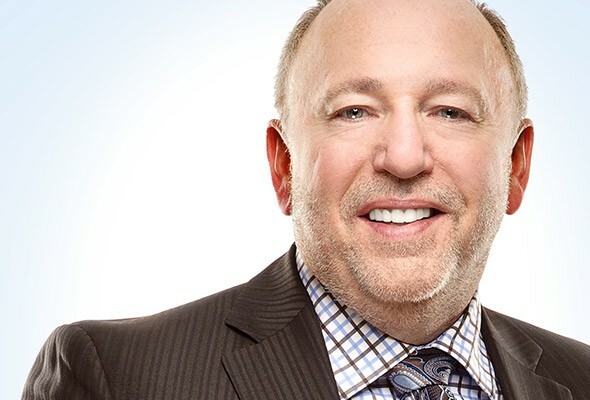 SaskTel president Ron Styles told The Leader-Post Telus has been offering customers in Saskatchewan a rate 45% lower than customers in Red Deer, Alberta pay. SaskTel is forced to match those rates to stay competitive, but it has hit the crown corporation’s finances hard. “We’re very concerned; it’s had a major impact,” Don McMorris, cabinet minister responsible for SaskTel, told the newspaper. Although many customers are happy paying a much lower mobile phone bill, the savings may prove temporary. Canada’s three national carriers have proved particularly adept as killing off any competitors threatening their 90%+ market share. Public Mobile found it difficult to attract new customers away from rival Telus, so as the business floundered, Telus made the upstart company an offer it couldn’t refuse, shut down Public’s network, and transferred customers to its own network. Although stopping short of directly pointing the finger at the Big Three, Styles is headed to Ottawa to discuss the implications of predatory pricing on SaskTel’s future. But he left no doubt something is up. If Bell, Telus and Rogers can afford to offer low rates here and on other “4th carrier” turf, does that mean their wireless rates are needlessly high elsewhere, Styles asks. Or are the Big 3 engaged in “predatory pricing” — selling something below cost to damage or destroy competitors and keep new entrants out of the market. Internet access on the prairie is getting more expensive as provincial-owned phone company SaskTel notifies its Saskatchewan customers it is raising certain DSL and fiber broadband prices by $5 a month — a 14% rate hike. Effective Feb. 1, prices for High Speed Classic DSL and fiber service will rise to at least $39.95 a month. 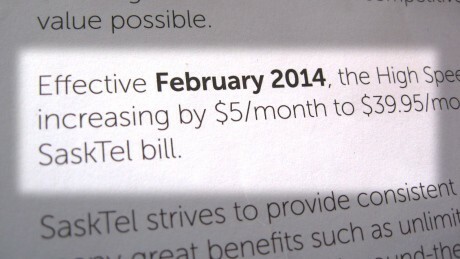 For DSL customers, that means nearly $40 a month for 1.5Mbps service. SaskTel, a crown corporation, is telling customers it needs the money to upgrade its network and maintain customer support. The phone company has a bold plan to replace copper wire infrastructure with fiber to the home service in each of Saskatchewan’s nine largest communities: Saskatoon, Regina, Moose Jaw, Weyburn, Estevan, Swift Current, Yorkton, North Battleford, and Prince Albert. The fiber network, dubbed infiNET, is already operational in parts of Moose Jaw and will be introduced in Prince Albert this spring. SaskTel has a range of price points for its fiber network ranging from $39.95 a month for 2/1Mbps service to 260/30Mbps service for $139.95 a month. If you want better Canadian broadband with fewer tricks and traps and live in Ontario or Quebec: put the house up for sale, pack up your things, and head west. Canada’s heavily metered and capped broadband is ubiquitous in the country’s two most-populated provinces where a convenient duopoly of Bell and Rogers in Ontario and Bell and Videotron in Quebec control the vast majority of the broadband market. But cross west into Saskatchewan and things start to look a lot better. Canadians telecommunications consultancy The Seaboard Group praised SaskTel, the provincial phone company, for refusing to slap usage caps on its customers. SaskTel does not deliver the cheapest Internet access by any means, but the company is investing heavily in fiber optic upgrades to turn the page on aging copper wire infrastructure. Stringing fiber through Regina, Saskatoon and beyond may seem counterintuitive to other providers. Saskatchewan, one of Canada’s “prairie provinces,” is hardly packed with people. With more than 20 million Canadians living in Ontario and Quebec, Saskatchewan gives its 1 million residents a lot of open space. Sparser populations usually translate into higher costs per customer for upgrades, but SaskTel persists. SaskTel has historically relied on traditional DSL and has competition in larger communities from Shaw Cable, western Canada’s largest cable operator. Although SaskTel’s DSL delivers lower speeds than Shaw can provide, it does so with no usage limits. Shaw’s decision to provide considerably more generous usage allowances has kept the pressure on SaskTel to upgrade its infrastructure to compete. SaskTel CEO Ron Styles told the Leader-Post its fiber optic network will give cable a run for its money, and until then, it is satisfied undercutting cable pricing for broadband, delivering a far better experience than either Rogers or Bell provides eastern Canadians, Styles says. Seaboard president Iain Grant found that what customers are willing to pay for service can also influence what prices providers charge. “The price is more based on what you’re prepared to pay,” Grant said. People in western Canada evidently are not willing to hand over as much money as their friends in Ontario and Quebec. 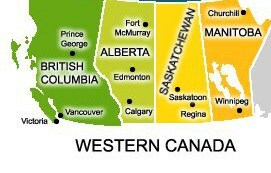 West of Saskatchewan lies Alberta and British Columbia — Telus territory. Telus is western Canada’s largest phone company and also principally competes with Shaw Cable. Shaw has forced Telus to back down on fueling enhanced revenue with usage caps of its own, and has been aggressively upgrading its network with additional fiber optics and DOCSIS 3 technology, forcing Telus to embark on its own upgrade effort. Macleans reports western Canada’s more-competitive broadband market has been good for consumers, but has also exposed a difference in priorities for providers. With Shaw breathing down its neck, Telus has committed to a $3 billion fiber optic network expansion in B.C., improved wireless coverage, and more IPTV service. Macleans notes Telus is the only major telecom or cable company in Canada that hasn’t purchased a television asset, focusing instead on its core businesses of connecting customers. In eastern Canada, Bell faces Rogers and Videotron. Critics contend Bell sees no imminent threats there, and the phone giant is spending its money elsewhere, announcing a $3.4 billion acquisition of Astral Media — an entertainment company owning 24 specialty cable channels and pay-TV networks, including the Movie Network and HBO Canada. Bell’s latest “investment” follows its 2010 $1.3 billion buyout of CTV and last year’s $1.32 billion co-purchase of Maple Leafs Sports and Entertainment (the other buyer was their ‘arch-competitor’ Rogers Communications). While Telus spends money on upgrading its broadband and video services to customers, Bell is positioning itself to control 34% of Canada’s TV universe. Bell is also the same company that advocated slapping nationwide usage-based pricing on Canadian broadband consumers to pay for the “network upgrades” it contends were needed to handle increasing demand. Canadians overwhelmingly rate their mobile phone providers poor for value, telling Consumer Reports they are paying too much and getting far too little coverage and service in return. 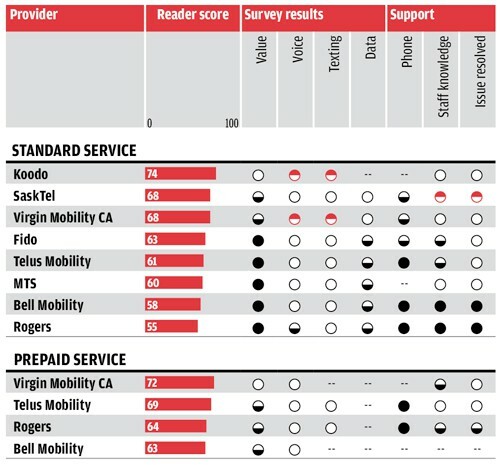 The 2011 Consumer Reports Wireless Survey (subscription required) shows Canada’s largest cell companies are generally awful in the estimation of 15,000 Canadians polled for the survey. At the very bottom of the barrel are mega-carriers Bell Mobility and Rogers, both rated lousy for service and customer support. Consumer Reports agrees. It top-rated Koodo, a no-contract carrier owned and operated by western Canada’s phone company Telus. Koodo is a relatively new player, only launching service in 2008, but has since built a reputation for lower prices and reasonably good service to the majority of populated regions across Canada. But Koodo’s data plans can be expensive and confusing. A $5 data starter plan delivers 25MB of data, and automatically increments: 26MB-100MB = $10, 101MB-300MB = $15, 301MB-1GB = $20, 1.01GB–3GB = $30, + 2¢/MB above 3GB. A alternative plan with a 2GB data allowance runs $25 a month with a 2¢/MB overlimit fee. Ironically, several wireless brands owned by large Canadian phone and cable companies scored higher than their respective owners. Koodo scored higher than Telus Mobility. So did Fido, which is a wholly-owned subsidiary of Rogers. Regional SaskTel, which operates in Saskatchewan, received an admirable rating from the consumer magazine, primarily because of its slightly better customer service. But no carrier, prepaid or postpaid, did extremely well across all categories. Canadians are frustrated by cell phone prices that are often higher than what their American neighbors pay, and are often accompanied with stingy usage allowances.